Your trip is booked, passports are laid out, it’s time to pack and you are undecided on which handbag to bring. Do I want to pack multiple purses and bags or is there one, versatile bag which would be perfect for the entire trip? It would be great to have a large bag to put under the seat in front of me on the plane, a small bag for rushing through port towns when departing the ship for a day, a bag with a long strap to wear across my chest in crowded, metro locations. 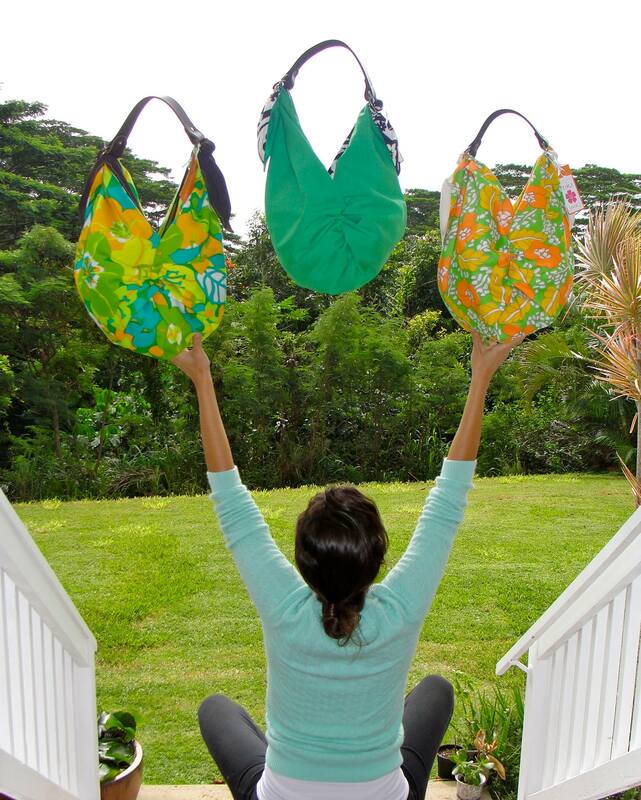 If I brought all of these bags, it would require an entire suitcase dedicated to handbags! The most practical handbag for travel is going to be something light, which allows for long days of walking without pulling on your shoulder. The next feature you want to look for is a handbag with a short strap, securing the bag close to your body with your arm and not lingering down low where pick pockets have easy access. Finally, a handbag with a sturdy, thick strap which cannot be easily cut when passing in a crowd. Yes, this does happen in crowded, tourist destinations. There are a lot of factors to consider before taking off on the trip of your dreams or a simple work training. Where does this leave us? 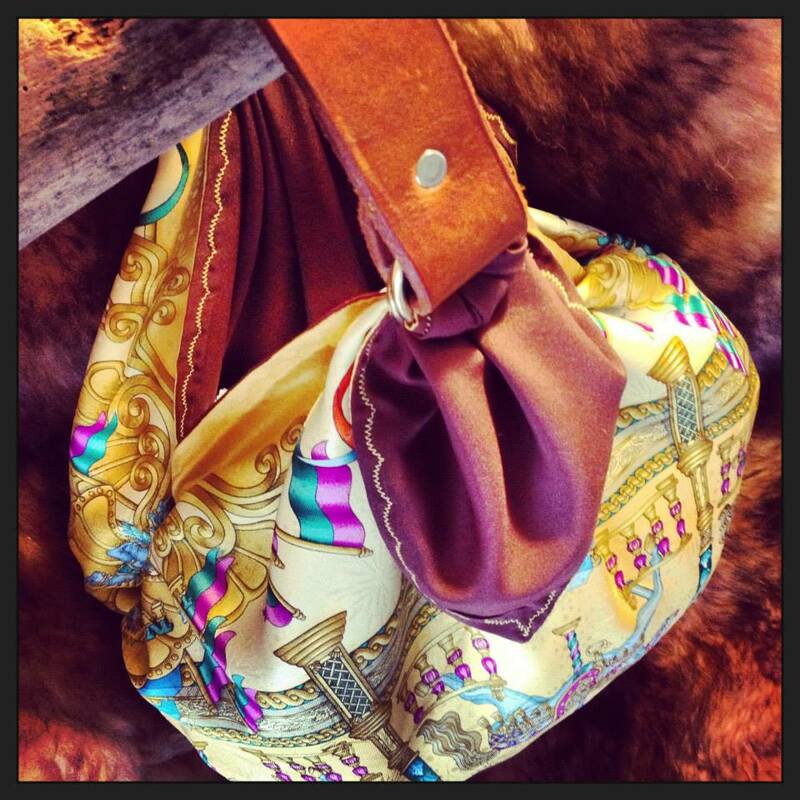 There is a Tikishiki handbag for every occasion, season and holiday. Use this handbag to accessorize your outfit for a fun lunch with girlfriends or a night out on the town. The bright colors are striking and the prints are bold. 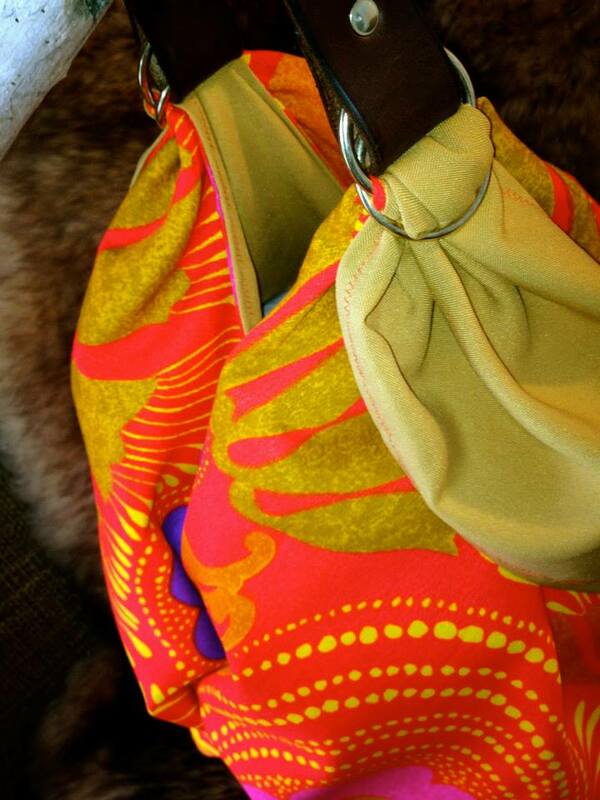 The handbags would be perfect with solid color clothing or subtle patterns. Mix it up!! Throw a bag over your shoulder and grab bright-colored flats to tie in the bag. All of the elegant bags will complement a simple pair of jeans. 2. With two detachable functioning parts, it packs FLAT. 3. 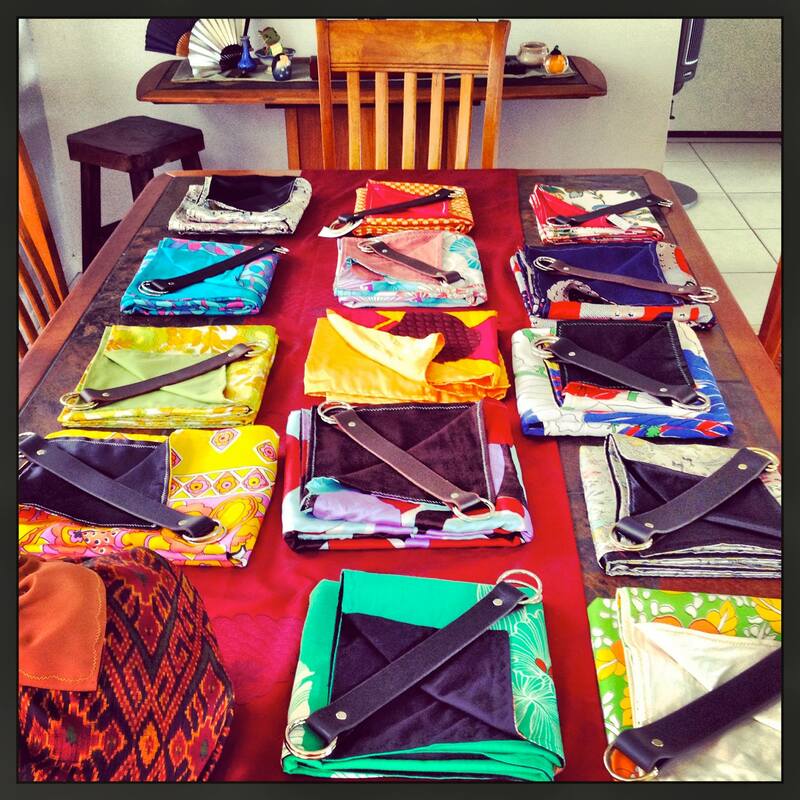 Reversible, have a bright and bold pattern or more modest solid as your front facing handbag. 4. Sizable, you can adjust the size of your handbag to a smaller evening size or a larger day time carry all. 5. Easy to clean! Just through your fabric portion into the wash or spot clean. Perfect for packing!!! If you want to bring your Tikishiki handbag in your suitcase, it hardly takes any room with the option of the removal strap. Don’t bother with packing bulky and heavy handbags because you will end up taking up too much space and possibly going over the allotted weight limit for luggage. 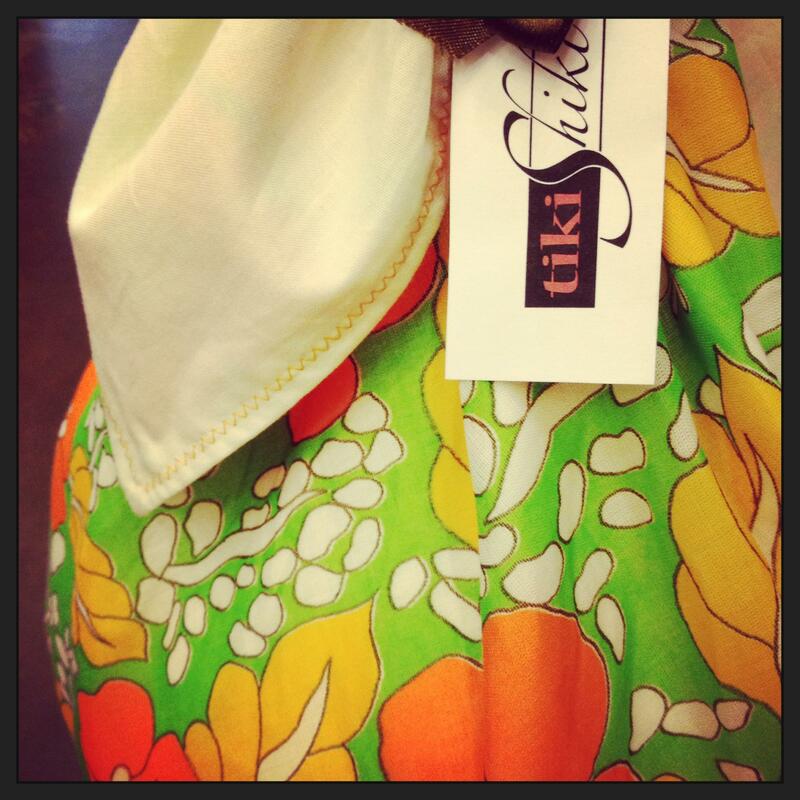 There are so many beautiful, fabric designs with the Tikishiki handbags and for this reason, they make the perfect gift! 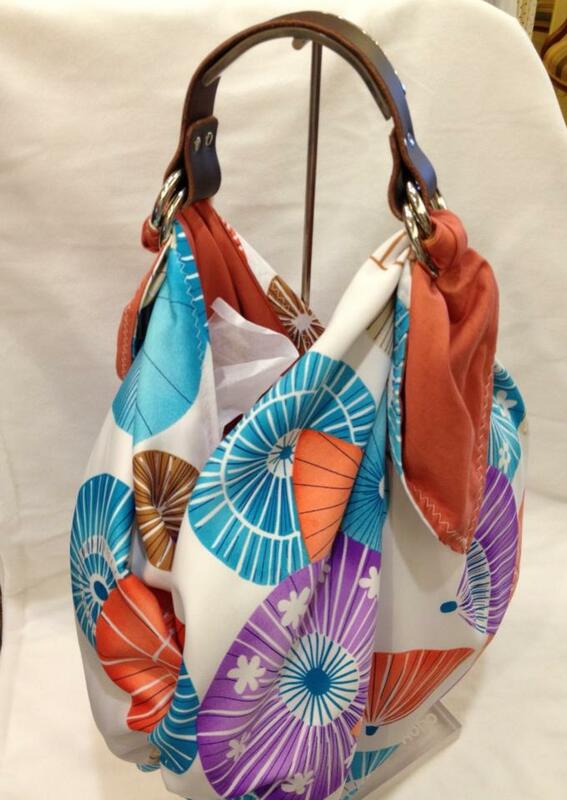 You will look at the handbags and be reminded of someone you know, someone who loves these color patterns. Or do you see yourself? Yellow Silk Carousel~ Hermes silk printed scarf paired with a poly blend chocolate liner and yellow detail scallop stitching. 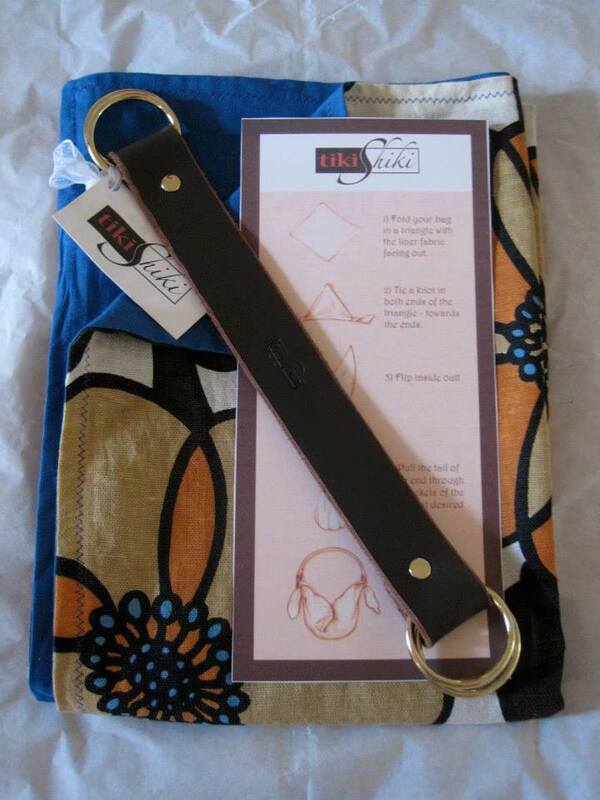 Medium in size with a brown and gold leather handle. 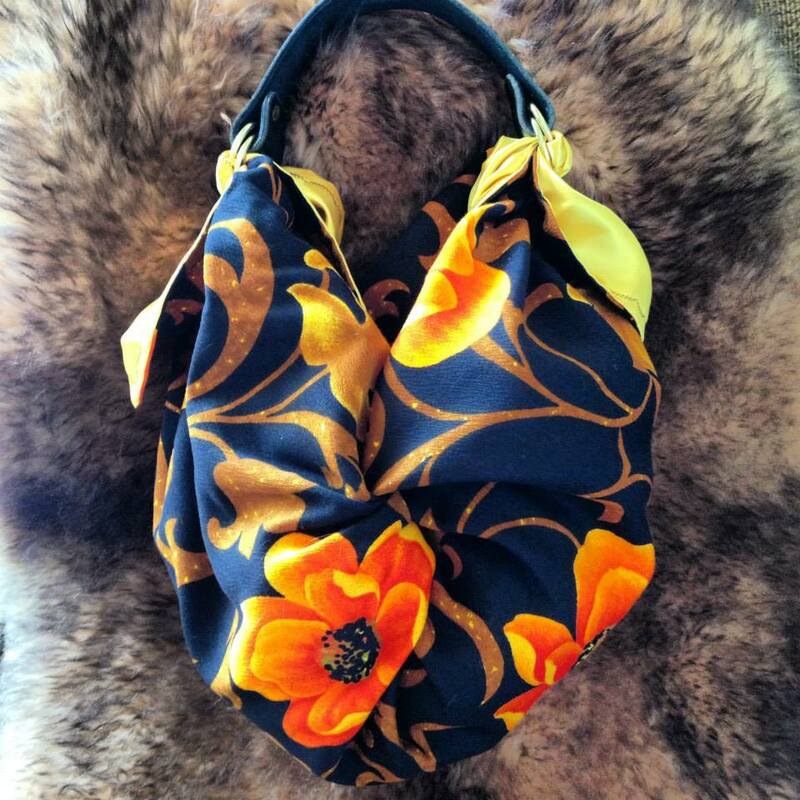 Tikishiki designs a Vintage Hawaiian 1970’s floral print (pictured above- orange, green yellow & white floral print) handbag with soft cotton liner & black leather handle is looking for a home. This bag is FANTASTIC!!! 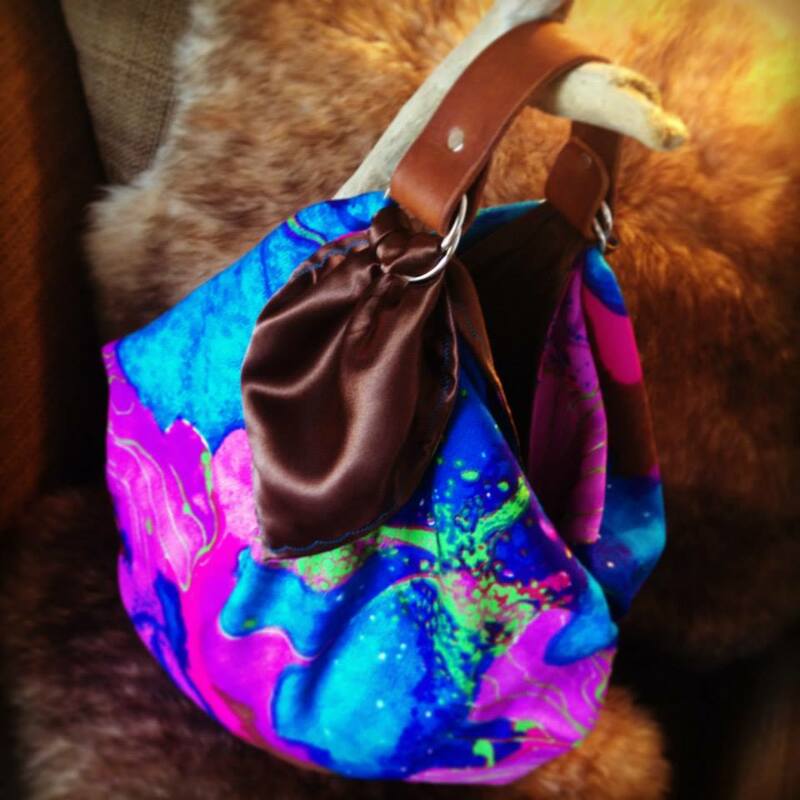 This bag should really be called “Keri’s Travel Bag” since it is made with a fabric representing my absolute favorite, vintage colors!!! This is the bag to have! I could see it thrown over the shoulder with a pretty summer orange, flowing white or lime green sundress or sassy shorts. Love, love this bag! It’s Traditional! It’s Functional! It’s Stylish! Loving the Tori Richards 1978 vintage fabric, parasol print. Perfect to wear with jeans. The great thing about Hawaii, is you can wear these colors year round. The rich, leather strap is very complementary, giving the handbag an expensive, classy look. Unique and Beautiful!!! The orange poppy flower print on black bark cloth textured poly fabric, shown with the black leather handle and gold hardware. It is a picture of pure and absolute elegance. I love this bag!! This is a bag that would make a great gift as it would go well with jeans and everyone loves navy! This handbag is a true conversation piece. 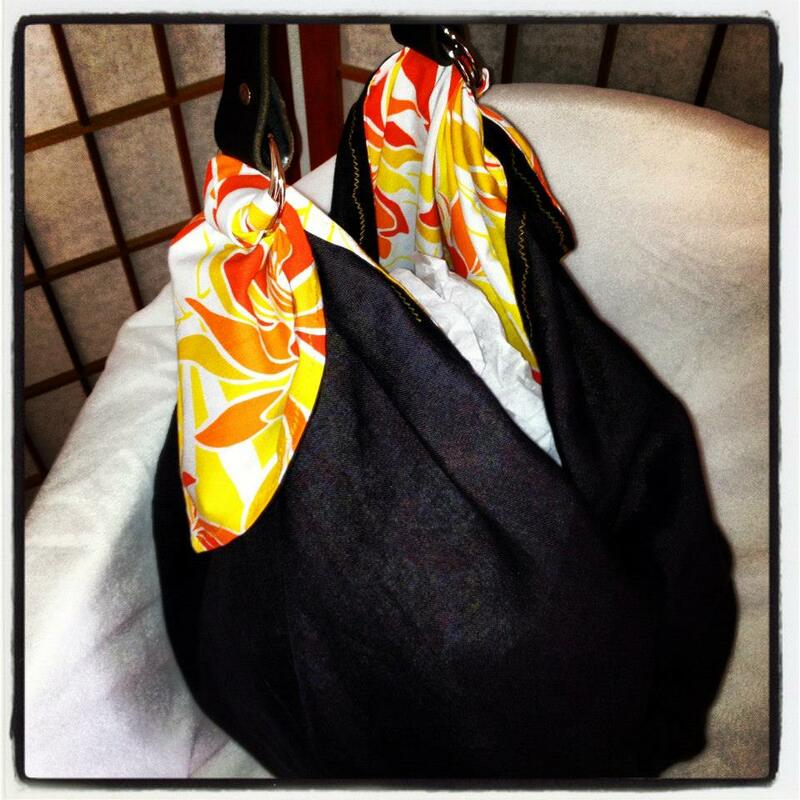 Black Linen outer with cotton Hawaiian orange yellow and white floral liner or reverse it! Yellow scallop detail stitch & black leather handle with silver hardware. Looking for Fall colors? Are you more into browns, reds, deep oranges, iron, olive, rose and evergreen? 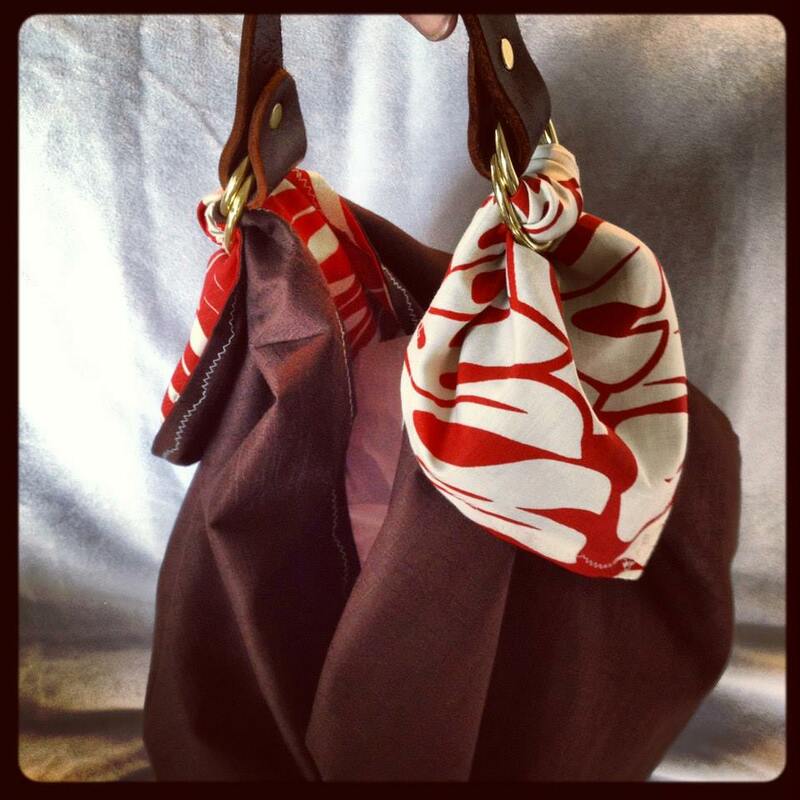 Check out the Hawaiian Chocolate handbag made of chocolate brown cotton, Hawaiiana red and cream monstera leaf pattern. You choose how to wear it. Beautiful deep brown leather handle with accompanying bronze hardware. The photo above gives you a good idea of the actual size and how great a bright colored handbag ties in with simple jeans and a solid top. Beautiful yellow cotton geometric print lined with a slate gray poly for durability and an edge. 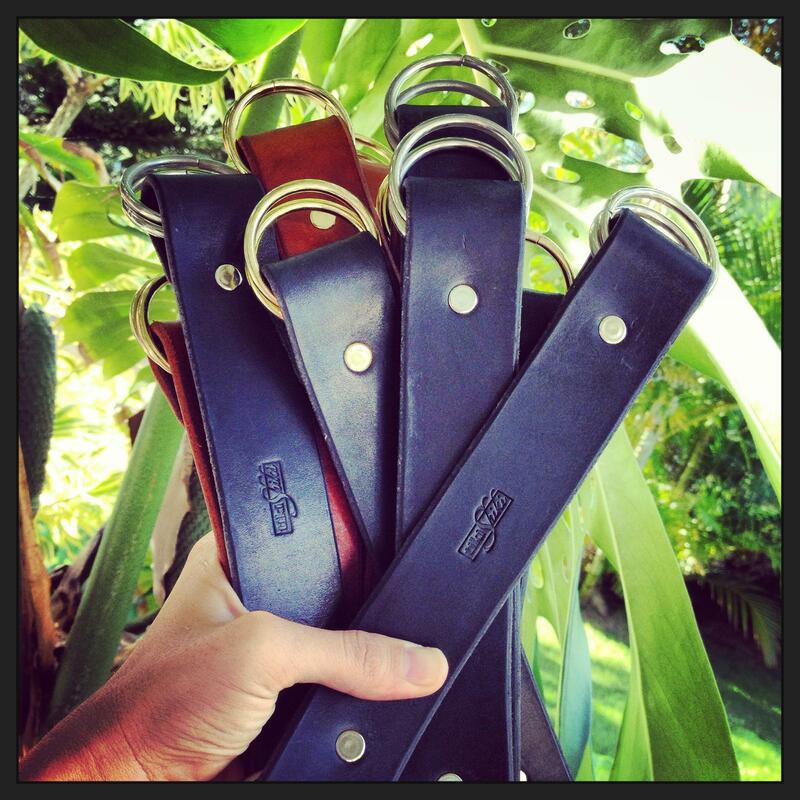 Black leather handle. Large in size, and the perfect color combos.